The first three places in the tournament’s Open Category will take home cash prizes; the children with the best catches will receive gifts from sponsors. 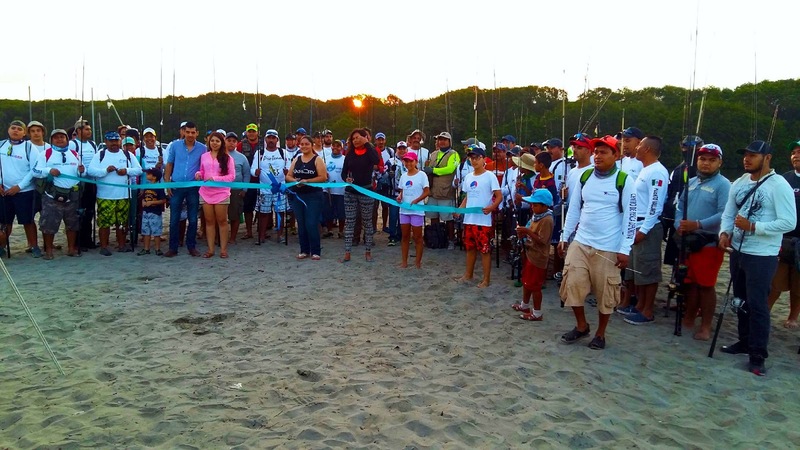 The 6th Jarretaderas Shore Fishing Tournament has been announced for Sunday, May 21, 2017, and will take place in the area around the mouth of the Ameca River. This shore fishing with lure tournament has a registration cost of $100 pesos per participant in the Open Category, which includes people 12 years of age and older. It’s a tradition that registered adults can enter one child for free in the children’s category, which ranges from 5 to 11 years of age, but in order to increase participation this year all children within that age range can compete for free, as long as they’re accompanied by an adult. The competitors must provide their own fishing equipment, however, children who don’t have equipment will receive a handmade rod. The first 100 registered participants will take home a commemorative t-shirt. A group of local fishermen has already been confirmed to date, as well as participants from Guadalajara, Colima and Tepic. The first three places in the Open Category will receive cash prizes for the biggest catches. Within the Children’s Category the sponsors will donate several prizes in kind for the best catches. Species this year include horse mackerel, snook, red snapper, sea bass and sierra. The minimum weight acceptable for the catch is one kilogram (2.2 pounds) and they will be released for environmental reasons. The ribbon cutting is expected to happen around 7 a.m., with an estimated end time for the competition of about 3 p.m. This is a family event where there will be food and beverage for purchase. Tickets are on sale at the Vallarta Fishing Center, the Tienda Pesca y Pesca, Computec Bahía, Mariscos El Vaquetón, Vidriería Charly Brocas and the Bros Fishing Club in Tepic. For more information please contact organizers José Roberto Quezada Palomera at 322 120 0880 or Daniel Cruz Vásquez at 322 135 8565.